Ever have a terrible, horrible, no good, very bad day? Well, my friends, it’s about to get worse before it gets better. Allow me to introduce you to the workout that will go down in Team LUNA Chix Portland Run infamy: the Terrible 20’s. 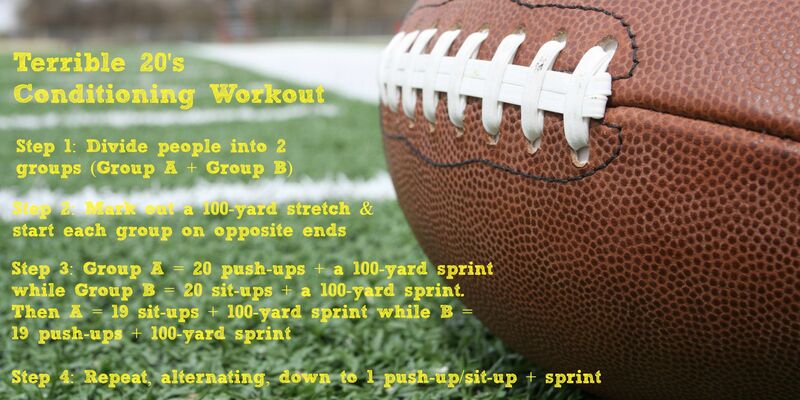 It’s a football-drill-inspired conditioning workout that’s designed to get you in great shape for game time — or, in our case, race day. I stumbled across it and decided to try it in lieu of our usual track workout one week. That night I got a record number of dirty looks during practice, and the next day I got countless texts from people telling me their whole body was feeling the aftereffects. I’d call that a workout win-win, if there ever was one! And you’re not off the hook if you’re working out alone because the Terrible 20’s also works well with just one person. Simply start with your 20 push-ups, then sprint 100 yards, do your 20 sit-ups and count down from there — sprint another 100 years, do 19 push-ups, sprint 100 years, do 19 sit-ups and so on and so forth. Sounds easy enough, right? Just give it a few rounds, and you’ll be begging for a time out! Got a tale of torture from a terrible workout of your own to share? This does sound awful/wonderful haha. My most tortured workout was definitely running 120’s in soccer try-outs in high school. 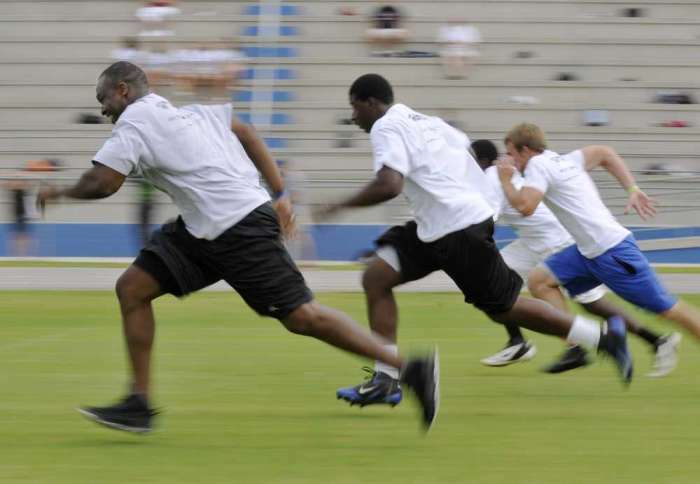 You have 30 seconds to sprint 120 yards, then jog back in 1 min., 15 second recovery until it starts over . You do 10 of these, with a little extra recovery after #3 and #7. Each one that you completed in those time restrictions counted. The others did not. — PURE TORTURE. But if you completed them, man did it feel amazing! WHAT?! I can’t imagine how it would feel to run one in 31 seconds and not have it count, LOL! But also sounds like an epic workout (hm, idea for future LUNA practice, perhaps? )…and probably a good way to measure fitness progress over the course of your season. But – ouch! yeah, we didn’t have to repeat the ones that “didn’t count” they just marked it as not completed in the time frame. It is a fabulous way to measure fitness progress. I could see my difference in the 4 years I did these and was very proud of myself by senior year I could do all of them!